Book Commercial Window Cleaning in London Today! Do you wish to restore the shine of your windows quickly and efficiently? If so, you have come to the right place! With the experts of commercial window cleaning in London, you will successfully bring back daylight into your property. You will enjoy spotless glass surfaces and if your window frames and sills are PVC we will take an excellent care of them too for free. You will be able to use your newly-acquired free time as you wish while we improve the good look of your business premise. You will not only avoid this time-consuming and burdensome work – our services will also bring you some delightful benefits. 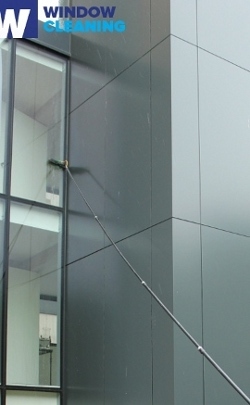 What Makes Our Commercial Window Cleaning Services in London #1? 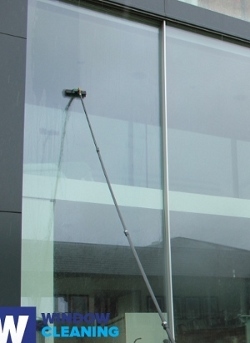 We can deal with all aspects of commercial window cleaning in London. You can rely on our considerable experience and technical excellence. With our expertise, your windows, frames and sills will be sparkling, just like new ones. We use purified water for all types of cleaning we do – with water-fed extension poles, jet washing or cleaning of high-rise windows with rope access techniques. We use biodegradable products in the process. Thanks to our professional window services, your business premise in London will look representable – we clean all types of windows, including double windows, sash windows, French doors, conservatories and skylights. You can rest assured that your property is in good hands – the workmanship of the window cleaners in second to none. In addition, the team members are all background vetted and carry public liability insurance. You can be one of our satisfied customers - just dial 020 3746 3113! You will get in touch with our customer support centre. Our representatives will guide you through the process of booking commercial window cleaning services in London. You will also receive free price estimates. As an alternative way of requesting a service, you can fill in our online booking form. Also, for direct contact with our operators, use our chat facility.